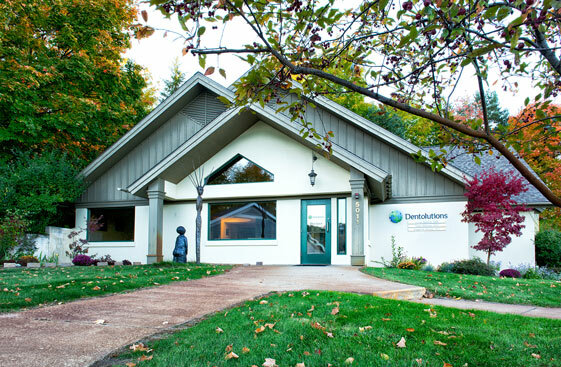 Providing the full spectrum of dental services in one location. We offer most every service providing patients care in a single location, collaborating among our experienced, dedicated providers. We’ll help you discover what’s important to you, and provide technically advanced dentistry grounded in basic preventative services working toward your goals. Our purpose is to help you set and reach your health goals. Our only agenda is serving you. We favor coaching over scolding. We’ll help you define what you want and create a plan, step by step, at your pace, to take you where you want to go. Our commitment is to you, we’ll help you become as healthy as you want to be. Simplifying the complexity of implant dentistry and advanced restorative services. We have dedicated our professional lives to advanced study to help you achieve health and restore function with treatment choices that makes sense to you. We'll help calm both the nerves in your teeth and those causing your anxiety. We appreciate your anxieties are real. While we offer everything from a caring, comfortable atmosphere to IV sedation, we found that over time the initial difficulties quietly melt away. Dr. James Reznich discusses how you can replace missing teeth with the use of dental implants. He is interviewed by Randy Alvarez of the Wellness Hour, a medical news show. We believe that dental disease is 100% preventable. We believe in long term relationships and long term solutions. We believe that you want a smile that can last a lifetime. We believe a confident, healthy smile can transform your life. Are you living Dentistry’s Sad Story, a lifetime of dental work with out the benefits of health, esthetics and longevity?